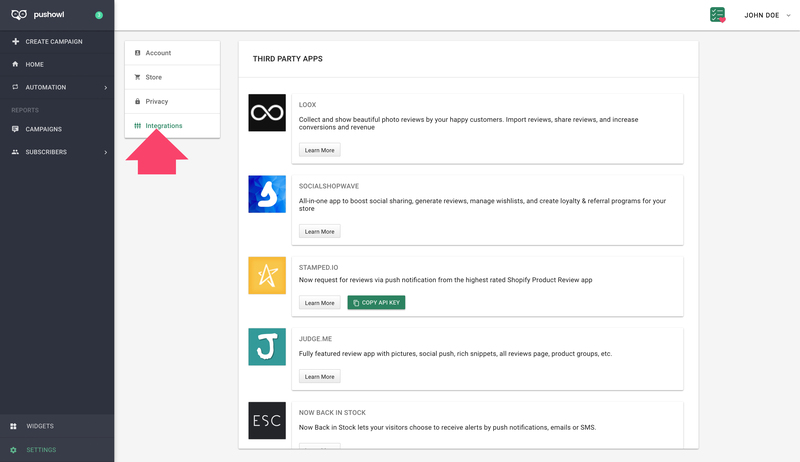 Understanding how you can manage and change your account, store, and privacy settings and set up your integrations. Let's take a look at what's available on the Settings page. The ‘Settings’ page has four tabs to help you manage your account and other features on your dashboard. Account Info lists your store details like owner, name and URL. 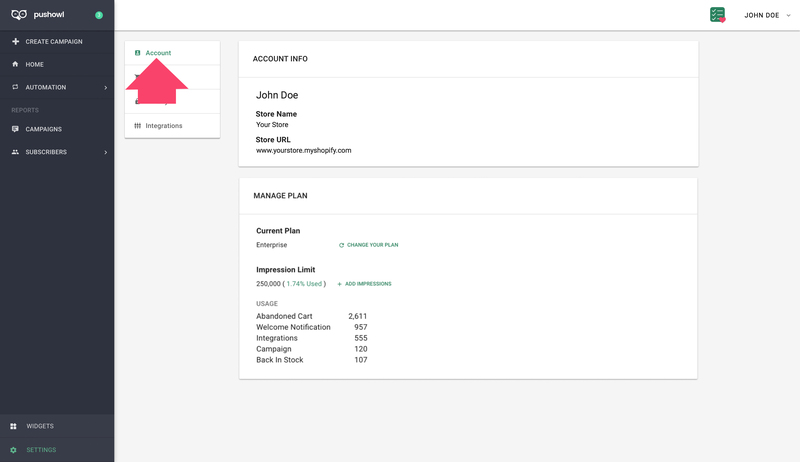 The Manage Plan section shows your PushOwl plan and impressions usage details, along with an option to change your plan. 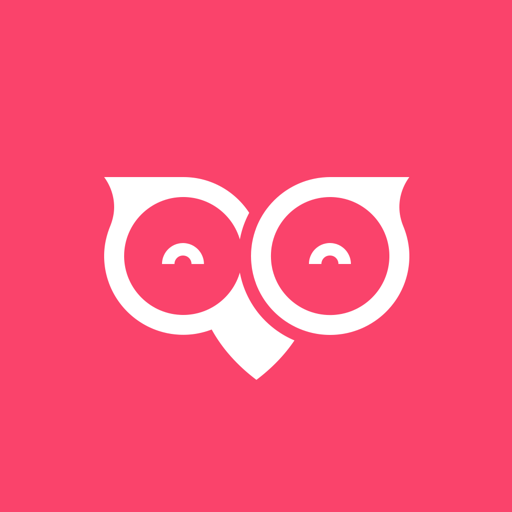 Brand Settings allows you to change or upload the brand logo. 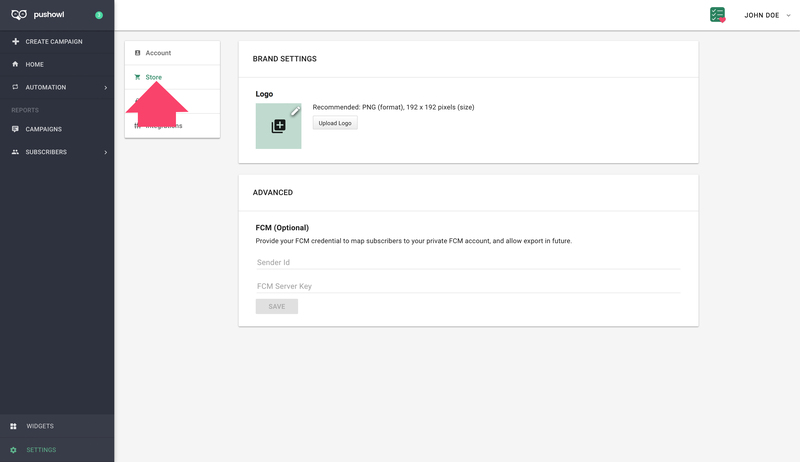 Under Advanced Settings, you can add your FCM credentials to manage your subscribers on a private account. You can change the privacy settings for your subscribers and yourself. It gives you control over the data you want to collect and allow PushOwl to process on your subscribers’ behalf. Read this article to understand the different Privacy features. You can integrate PushOwl with other Shopify apps to do more with push notifications (example: review requests via push notifications). 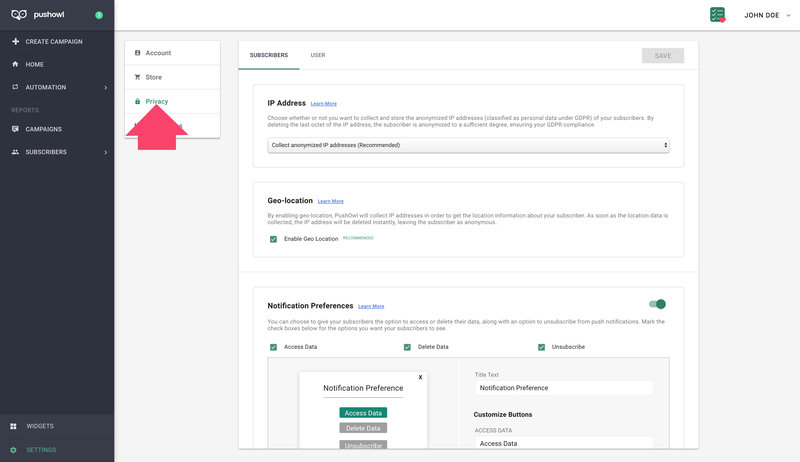 To know more about these integrations and how you can set them up, read the articles under the Integration sub-section.